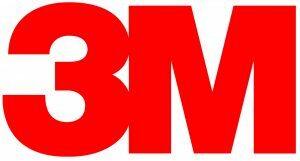 Cable joints and terminations manufactured by 3M are used to repair damaged cables, replace cable fault sections, extend existing cable circuits and connect cable ends for termination onto electrical equipment bushings in switchgear and transformers, including 11kV and 33kV power cables operating at medium/high voltages (MV HV). 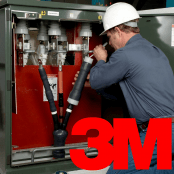 3M solutions include Cold Shrink and Scotchcast Resin joints – 3M products provide permanent, durable and watertight cable seals, joints and terminations with excellent electrical insulation and unrivalled performance for low (LV), medium (MV) and high (HV) voltage cables and power systems. 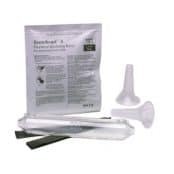 Cold Shrink was invented by 3M over 40 years ago to avoid the need for a heat source or naked flames in hazardous areas; however, cold shrink products have developed to replace traditional cable jointing methods of cast resin and heat shrink in many industrial applications. The narrow smooth profile design of the 3M Cold Shrink EPDM tube allows more cables to be bunched together on cable tray, or in cable duct, without the problem of snagging, allowing for both horizontal and vertical jointing of cables. 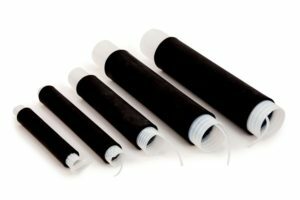 Cold shrink tubes and 3M technology are applied to cable joints, terminations, end caps and abandonment kits for low, medium (11kV-33kV) and high voltage cables (66kV-132kV). 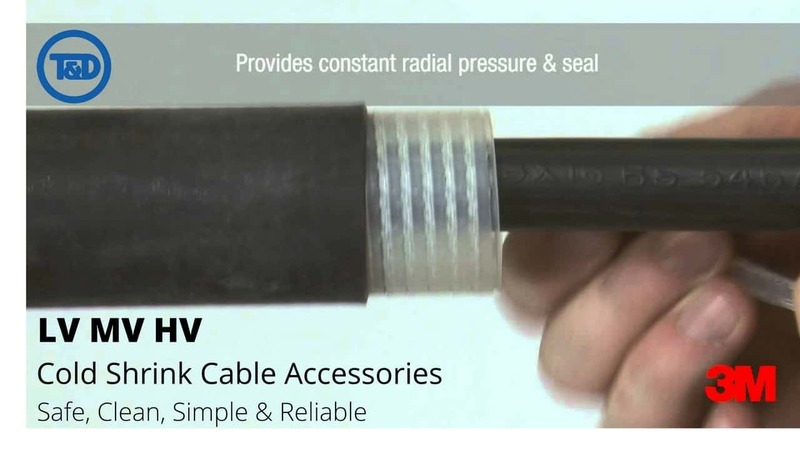 Cold shrink terminations ensure the safest and quickest installation for LV MV HV power cables – reduces cable jointer or installer error and the risk of cable damage caused by overheating of heat shrink, ideal for potentially explosive and hazardous areas in onshore and offshore oil, gas and petrochemicals industries. The new design of resin cable joints from 3M Electrical features safer mould bodies and Scotchcast resin delivery system. One part cable joint mould construction with top seal and fixing clips – simpler cable jointing installation process, less resin leakage. Simpler cable joints. 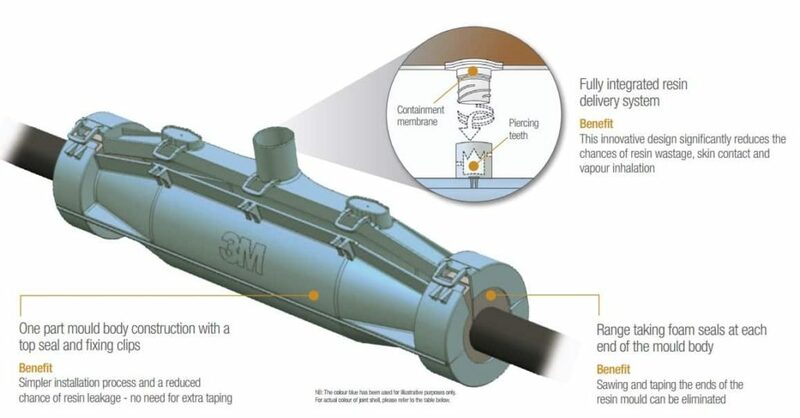 Fully integrated cable jointing resin delivery system – reduces resin wastage, skin contact and vapour inhalation by cable jointers. Economical cable joints. Range taking foam seals at each end of the cable joint mould – sawing and taping the ends of the joint mould can be eliminated. Versatile cable joints. 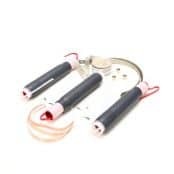 Earth method – to avoid awkward manipulation of armour wires while trying to fit worm drive clips over the cable support rings, 3M have chosen to use constant force springs for earthing. Faster cable joints. 3M Scotchcast resins have an excellent adhesion to cables and together with excellent mechanical, electrical and chemical resistance – Scotchcast Resin strength is at least equal to that of the cable when pulled under tension. Reliable cable joints. The 3M brand of Scotch Electrical tapes are used to provide insulation and protection to LV MV HV electrical equipment, cables and accessories including joints and terminations – please refer to the 3M Scotch Electrical Tapes Product Selection Guide for further information. 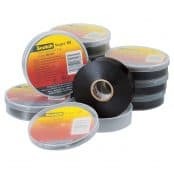 Specialist fire resistant tapes, arc resistant, semi-conductive and rubber splicing tapes up to 69kV enable the protection of LV-HV cables including 11kV-33kV medium voltages, against abrasion, moisture, alkalis and acids. 3M Scotch Tapes include vinyl electrical insulation, high temperature glass cloth, sealing mastics, rubber self-amalgamating and high voltage tapes to provide track resistance, semi-conductive and sheath repairs to 11kV-33kV power cables. 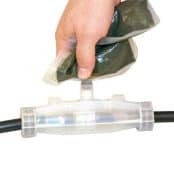 Cold Shrink – simply remove the spiral by unwinding the pre-stretched tube from the expanded core to reduce installation time. There is no waiting period for the resin to cure before back-fill of cable trench and moving onto the next cable joint. ➡ Watch our series of 3M Electrical videos explaining how-to joint, terminate and abandon LV-HV cables. Scotchcast resins provide the most reliable electrical insulation for cable joint, repair and sealing applications where high strength and specialist application resins are required including high voltage, hazardous area, hydrocarbon resistant, halogen free and flame retardant. Thorne & Derrick provide competitive prices and fast delivery from stock for the complete range of 3M Scotchcast and Cold Shrink cable joints, terminations, resins and Scotch electrical tapes – we stock high voltage cable joints and terminations manufactured from 3M using Cold Shrink for 11kV and 33kV cables.